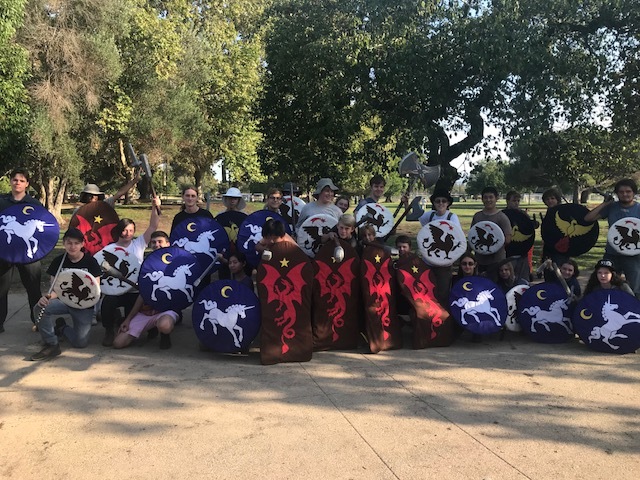 Live Action Role Playing (LARPing) is an interactive, dramatic, hands on activity where in a single session, players explore concepts from history, linguistics, political studies, geography, psychology, literature, mythology, engineering, science, mathematics, fine arts, team building, and more. Players must learn to “battle” with safe LARP weaponry, solve intricate story elements, role play as a wide variety of monsters and creatures of the world, and manage their resources carefully. From 10am-1pm for training, as well as continuing an ongoing story the players themselves are involved in creating. From 2pm-5pm to continue the story and expand upon it, challenging players to follow through on their projects and connect to those of others. This class provides an activity that is social, physical, and mentally challenging in a time when adults and teens are spending more and more time in sedentary, electronic alternatives to real human interactions. Both sessions involve players making and role playing as characters in a shared imaginary world that spans the Bay Area and has hundreds of players continuously involved in collaborating on the process of storytelling and adventure. These events also tie into weekend with other leagues. LARP is helping transform the lives of children all across the Bay Area and beyond. For more on LARP, go to www.fanwar.com.